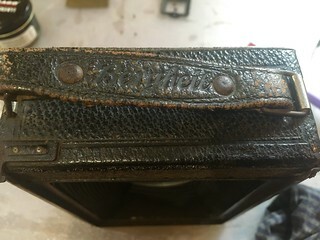 Leather was super dry and with several discoloured parts. I tried a new approach read at Richard Haw's website, balsam cream for cleaning and later black shoe cream. It's always hard to find good brands here in Moscow so I was lucky to find one very good (Tarrago) which had both of the things I wanted.